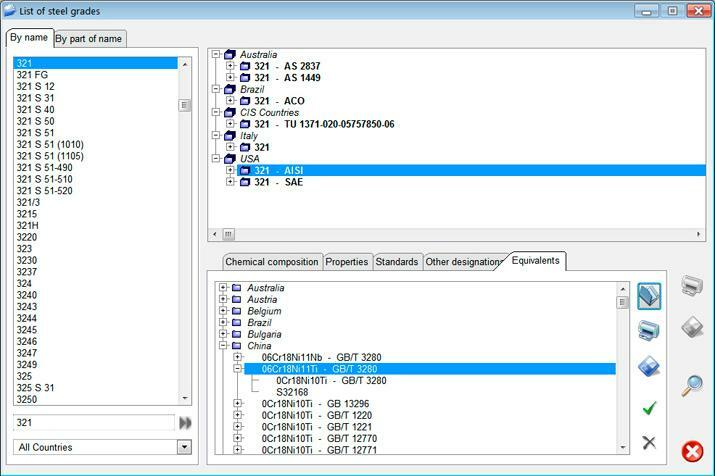 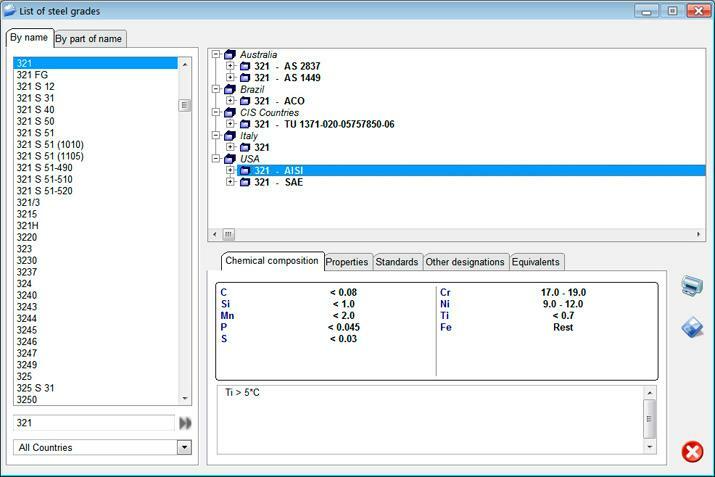 The best tool to find foreign equivalents of world steel grades information on properties of world steels is included in the database now! 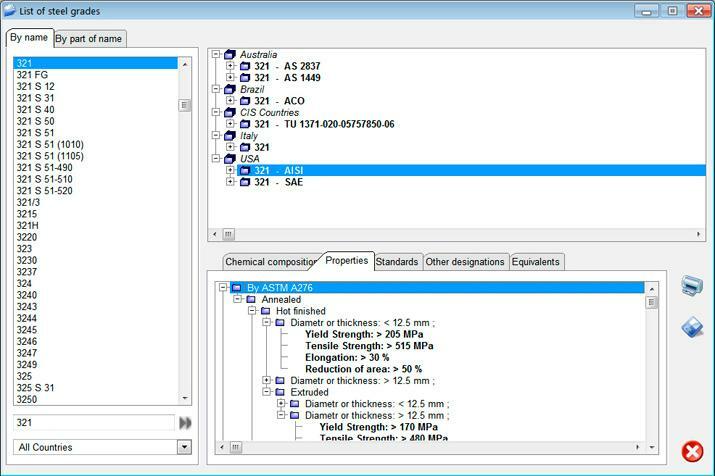 WinSteel database provides information on 175 000 steel grades referenced worldwide. 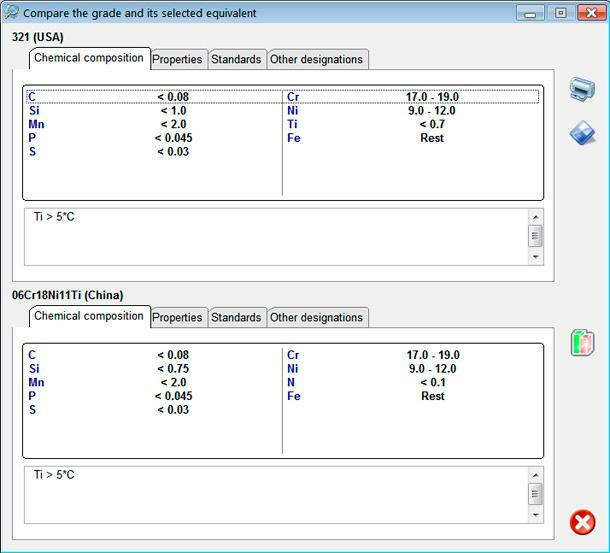 At that you can compare compositions and properties of the sample grade and its selected equivalent. 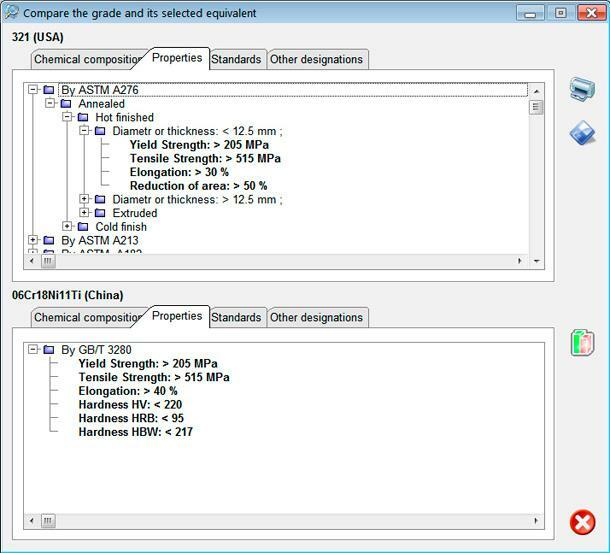 WinSteel is proposed on a 12 month subscription basis.